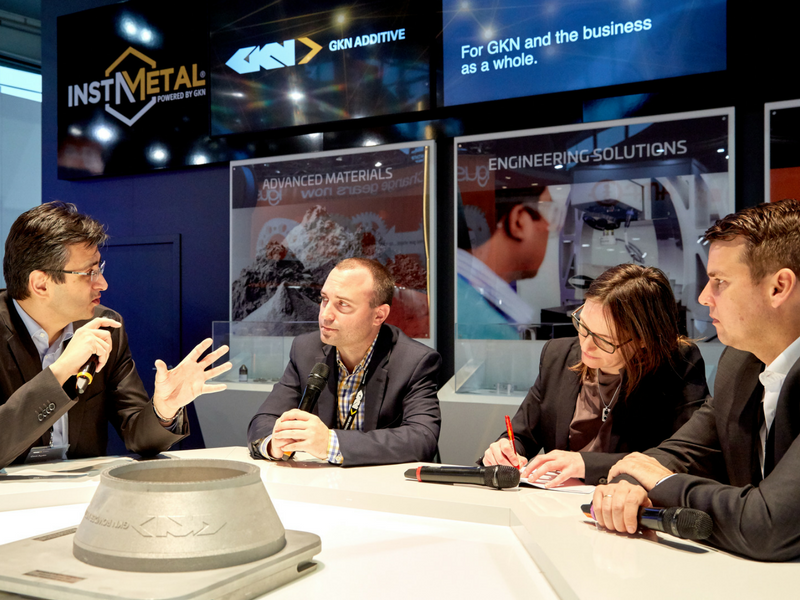 At our recent Formnext talk@table, Petra Lammers (onliveline) talked with GKN's Markus Josten, Blake Hanrahan and Uemit Aydin about the opportunity for the newly formed GKN Additive to operate on the scalability of powder and production through size, experience, and engineering spirit. Lammers: How does GKN's 250 years of experience and this transformation play together? Hanrahan: It is about flexible application of knowledge. GKN has produced water-atomized powder for over 60 years already. While that is a different process, we can use the experience and apply it to new materials and technologies. This means that much of our experience and technology is transferrable to additive manufacturing (AM). Lammers: you have a strong backup from GKN in budget and management, but also a strong name and reputation. Is GKN Additive a new brand then? Josten: Apart from producing parts for aero and the automotive industry, we are now developing watches and receiving RFQs for developing door-handles. So GKN additive is like a new and young brand, which is attractive to other customers and most importantly to other markets. Lammers: Apart from the experience and ability to live the mindset of AM, you have three columns that you build your business on: powder, engineering and production. Which powders do you have? Hanrahan: 65 years ago we started with water-atomized iron and steel powders. Recently we have gotten into gas-atomized products such as various titanium alloys, inconels, other nickel based alloys, and stainless steels. Lammers: You have the powder, you produce, you develop, customize products and ensure quality, and you go into production or supply it to your partners. What about the second column: optimizing solutions? Josten: That column contains instAMetal, our first step in the digital commercial tool and world. You load up the model, choose the material, have direct access to one the world’s largest engineering companies, and receive the part within three to five days. In the future we plan, to offer a topology optimization within the tool. So you send us a conventional part and we do a digital engineering. That would be very valuable for the customers. Lammers: In terms of production, you were talking at other talk@tables about scalable. What does that mean? Josten: It’s powder scalability and production scalability. We go from prototyping, single layer production technology to large scale mass production. This is the biggest opportunity but also the biggest challenge. Lammers: That means growth in production facilities for you as well as cooperating with other companies. The day before yesterday, GKN and BASF signed a contract to work together. The meeting felt more like a startup meeting than one of two very large cooperations. Josten: Yes, it is a culture change. Lammers: Finally, let's jump back to the engineering side: to design and the new mindset. Aydin: There is one element that will make AM rock, and that is engineering because no one really gathers the full capabilities of AM yet. We need to listen to our customers closely and understand their applications in consideration of the materials properties and then we can develop the final design and potential. Lammers: So it actually is a revolution! 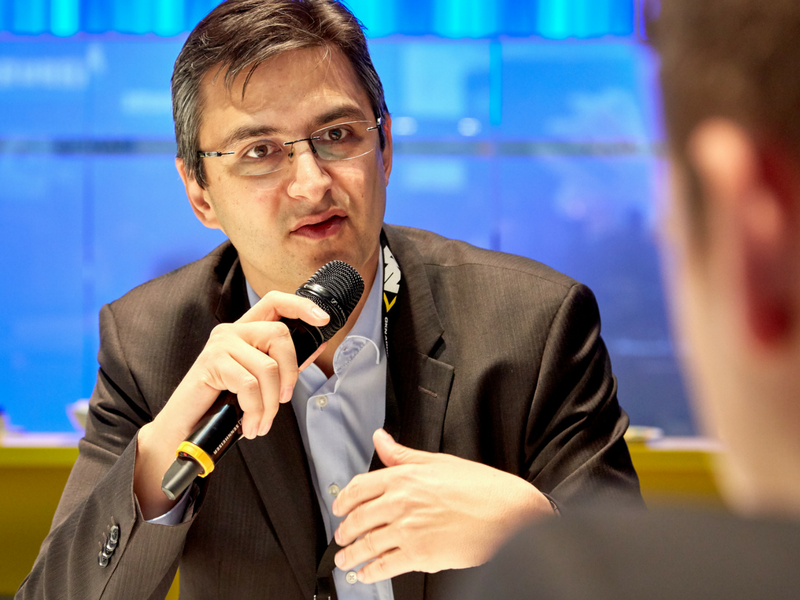 Aydin:The additive thinking is a real revolution. But as it is with revolutions, if you do not listen and plan closely to the actual situation and challenges, the process can knock you down. Which is why I am never just talking about the chances, but about the challenges – and then – we find solutions!